Our breeding birds are now in the seclusion aviaries, and nest-building is under way. Screen shot of all five 2017 nest boxes. We have installed new high-definition cameras, which show amazing detail of the activities in the nest boxes. So far, we have four good nests – all from proven breeding pairs. Nest four is a new pairing, and we are still hopeful of nesting soon. The female in nest five was hatched in 1998, making her nineteen years old this year! She has built a wonderful nest, and will probably lay a clutch of eggs. The clutch she laid last year was infertile, but she may be used as a foster-parent if the opportunity arises. The webcam can be seen here. This entry was posted in Breeding, Cornwall, Paradise Park on 31st March 2017 by RayHales. It’s been a busy couple of months here at Paradise Park – however over on Jersey things have been even more hectic. July saw four chicks being fostered by the “Italian” chough Gianna, before being moved to the release aviary for training and orientation. They were joined by two parent-reared chicks, giving a total of six young birds to join the wild flock. The wild birds were also producing chicks. Three nests were successfully built, and four wild chicks fledged in all. 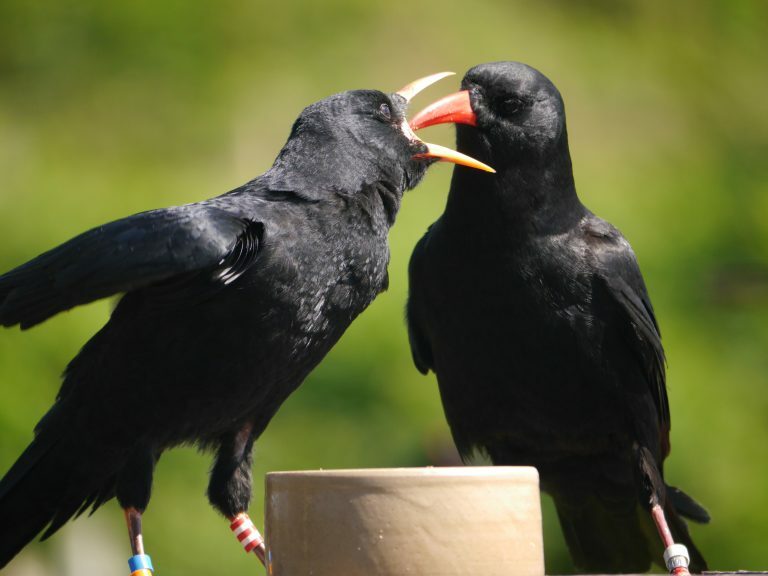 Last years’ wild male chough Dusty showed signs of maturing early, and was seen making amorous advances. Full Birds on the Edge July report can be seen here. All the new arrivals were given time to acclimatise to their surroundings, and their new flock-mates.The youngsters were given some training to respond to the supplementary feeding signals. In August, they were good to go. The new birds quickly adapted, and are now part of the flock. So far, all are doing well, and have been seen taking lots of prey items from larvae to butterflies. 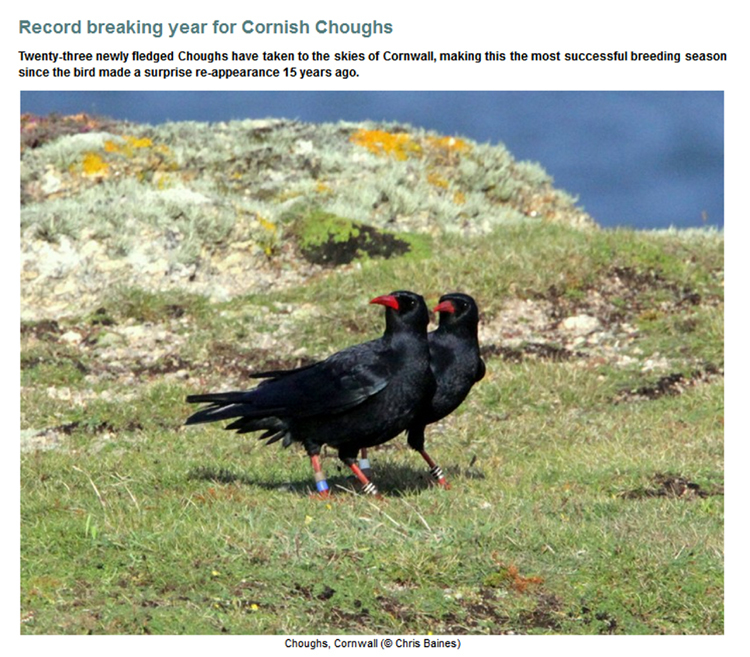 There are now thirty choughs in the flock – quite a remarkable feat! Full Birds on the Edge August release report can be seen here. This entry was posted in Breeding, Jersey, News on 30th August 2016 by RayHales. 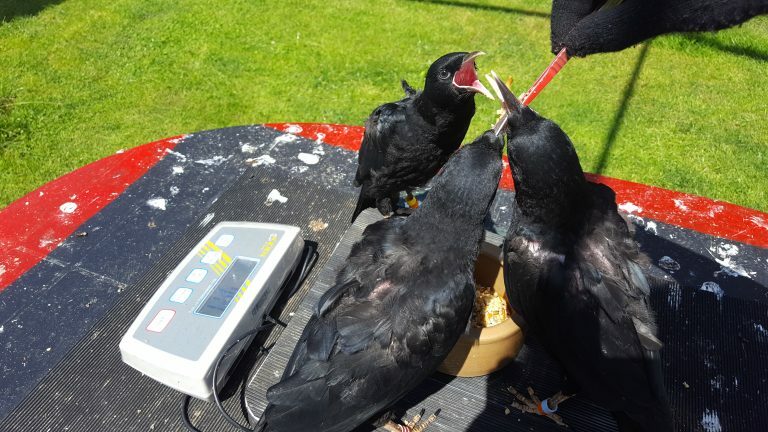 Here is a short clip of two hand-reared chough chicks being fed. The chicks continued to feed like this for almost two minutes, and will do so every two hours for the next four weeks, when they will fledge. The two chicks were taken from nest 2, after it became apparent they were falling behind their older siblings. 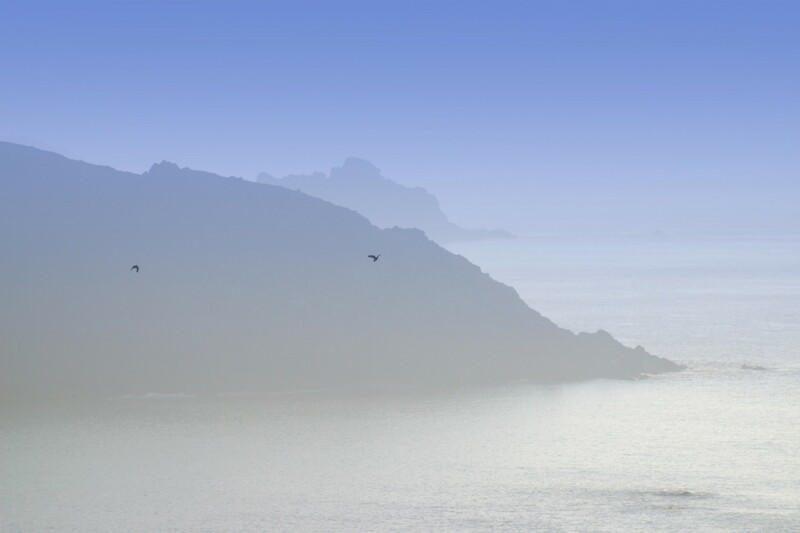 The smaller birds were simply being swamped by their older brothers or sisters, and were not putting on any weight. If we had left these two, they would almost certainly have perished. 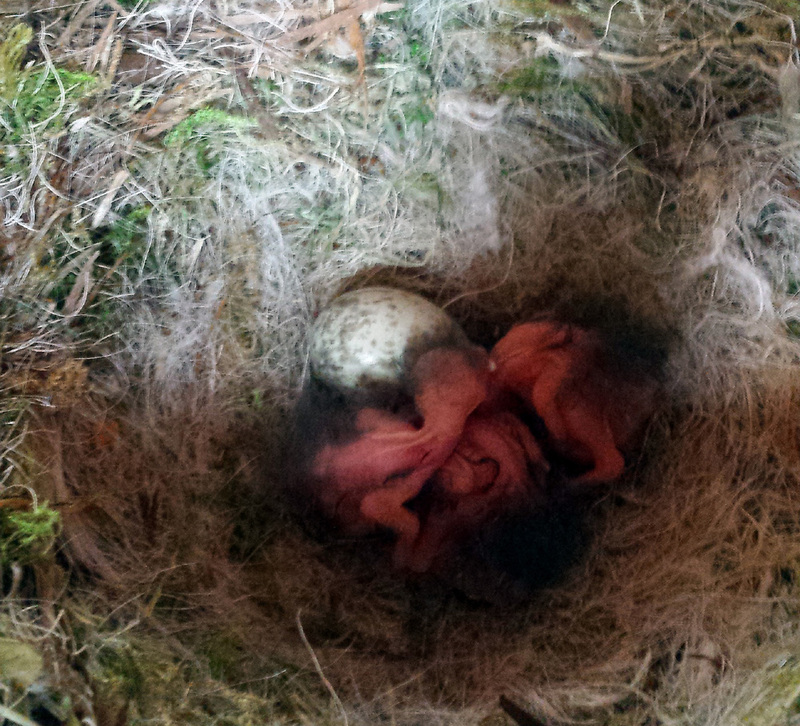 It’s a small but tough world in a chough nest box. We had a couple of worrying days, but then the chicks began to recover and put on weight. They have now grown from 22 and 15 grams, to 187 and 181 grams, and will soon be annoying us with incessant calls for food. This entry was posted in Breeding, News, Paradise Park on 18th May 2016 by RayHales. Here is a short video showing how Mrs Chough keeps the nest tidy. In the case of a chough chick, it’s simply a matter of hanging your behind over the edge of the nest and letting go! Mum (or dad) then come along and take the poop away. Quite often the adult female will stimulate the chick, by gently prodding the chicks rear end. The chick then produces a faecal sac, which the adult bird then disposes of away from the nest. This serves two useful purposes – firstly it keeps the nest clean and free from a build-up of toxic waste, and secondly it keeps the location of the nest a secret. Some predators will home in on the build up of waste around a nest. This entry was posted in Breeding, News, Paradise Park on 10th May 2016 by RayHales. Our breeding choughs have now produced ten tiny (and not-so-tiny) chicks, with possibly more to come! All of the eggs in nests 1- 3 have now hatched (no eggs in nest 4). There were two infertile eggs in nest 1, which is unusual for this pair, as they have been very productive in the past. Nests 2 and 3 have four chicks each. The chicks in nest 3 are now seven and eight days old. The nest 2 chicks are between two and four days. Nest 5 still has five eggs, which are due to hatch this weekend. The picture above is taken from the access door, which is used to monitor the young birds. At the top of the image is Alison Hales who goes in to the aviary to distract the adult birds, and to add to the large quantities of live food in the aviary. The birds have learned that Ali brings lots of bugs (mini-mealworms, crickets and ant eggs), so it is a positive experience for them. This entry was posted in Breeding, News, Paradise Park on 6th May 2016 by RayHales. 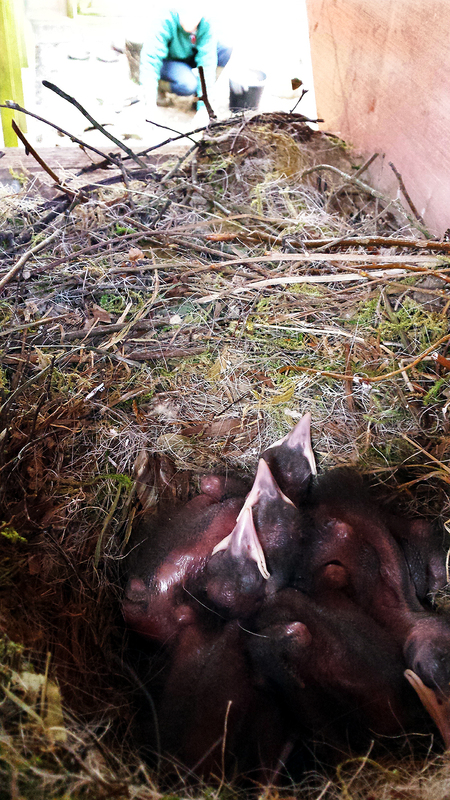 Here is the first picture of the first nest of this year’s chough chicks. (Nest three). We have designed the nest boxes in the breeding aviaries with a small inspection hatch at the back. This allows us to monitor weights, give supplementary feeds, and occasionally medication. While the birds are distracted by someone, usually Ali, going into the front of the aviary with food, I can use the opportunity to open the hatch to carry out my secret duties. The adult birds tend to hide in a small space on top of the nest box while this is going on. We get the birds used to these intrusions before any eggs are hatched, by using positive reinforcement. The adult birds associate a person coming into the aviary as a good thing. Person equals food. This makes our disturbances much less stressful for all concerned, except for Ray and Ali. This entry was posted in Breeding, Paradise Park, Ray's Ramblings on 25th April 2016 by RayHales. The first chough egg for 2016 has been laid! The female in Nest 3 was seen sitting in her beautifully-built nest just after 5pm on 31st March. Over the next 20 minutes she sat, straining a bit as she produced the egg, and then recovered for a few minutes before going outside. The image above shows her mate coming into the nest to check out the egg, gently touching it with his bill. The first chough egg for 2016 is laid in Nest 3. 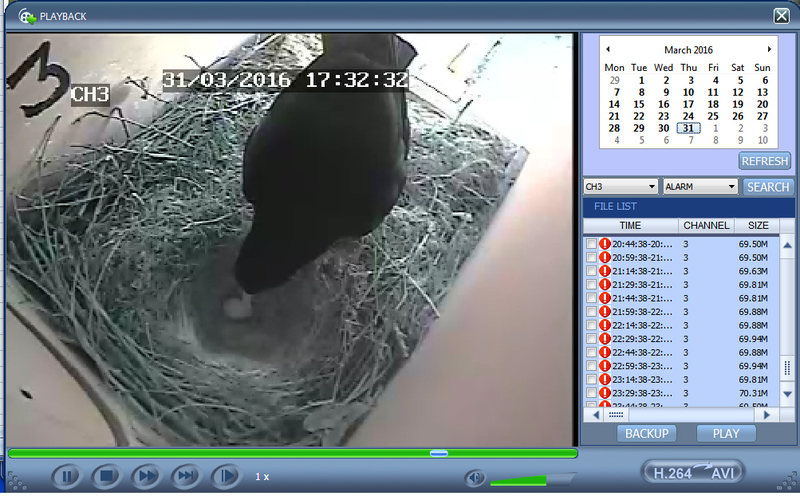 In 2015 the first egg of the season was laid by the same pair at lunchtime on 1st April, so they are just about a day ahead this year. 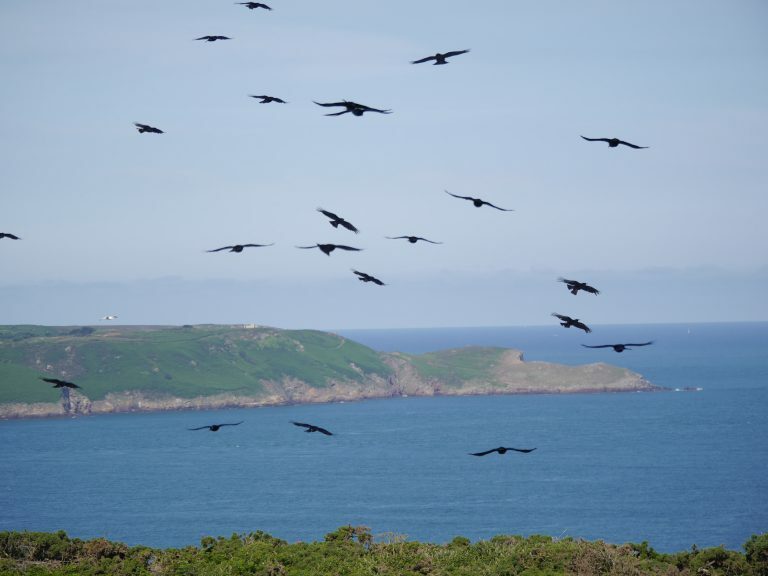 We’re looking forward to lots more eggs, and then lots of early mornings and long days to provide food for the chough families. 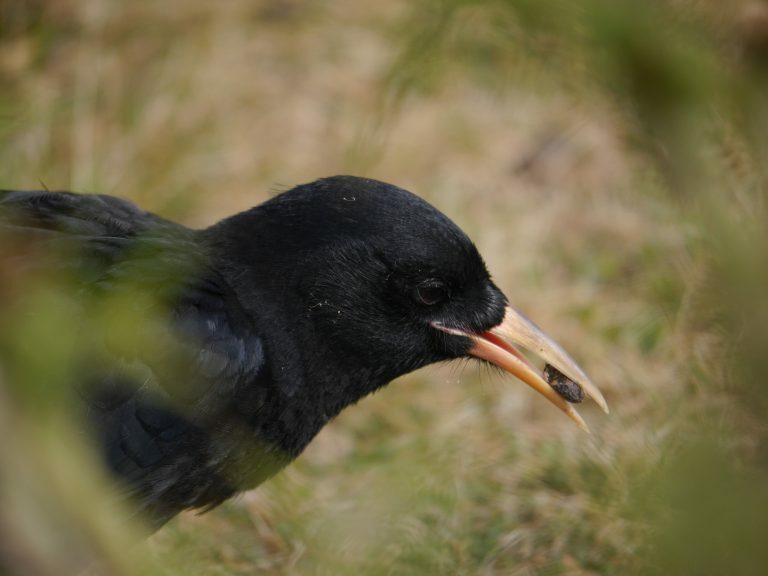 This entry was posted in Breeding, News, Paradise Park and tagged chough, choughs, Cornwall, egg, Paradise Park on 1st April 2016 by Ali Hales.